A SCANDINAVIAN DISCOVERY. Whereas credit for the discovery of the lymphatic system is controversial, it is clear that both claimants were Scandinavian and members of distinguished academic families. The father and the son of Thomas Bartholin were anatomists, as was he, at the University of Copenhagen. After his brother informed him that the thoracic duct had been found in dogs, Bartholin searched for one in the cadavers of two criminals, whose bodies were kindly provided by the king for this purpose. In 1652, he publicly announced that he had discovered the lymphatic system in humans and described it as distinct and independent. Rudbeck was also a historical linguist with what some would describe as considerable imagination. From 1679 to the year of his death in 1702, he prepared a 3,000-page, four-volume work entitled Atlantica. In it he sought to establish that Sweden was Atlantis—the legendary island described by Plato in 300 BCE—and that Swedish was the language of Adam and from which Latin and Hebrew originated. His theories were subject to some criticism and even ridicule in his native Scandinavia, at a time when Sweden was one of the great European powers. The lymphatic system is a network of organs and lymph nodes, ducts, and vessels that produce and remove lymph from tissues and send it to the bloodstream. The thoracic duct, the major lymphatic vessel in the body, collects and channels lymph from the lower portion of the body. Lymph is a milky fluid that contains lymphocytes, a major component of the immune system, and chyle, which consists of lymph and fats. The lymphatic system defends the body against infections and the spread of tumors, and also collects and removes interstitial fluids that surround cells. SEE ALSO: Innate Immunity (1882), Adaptive Immunity (1897). 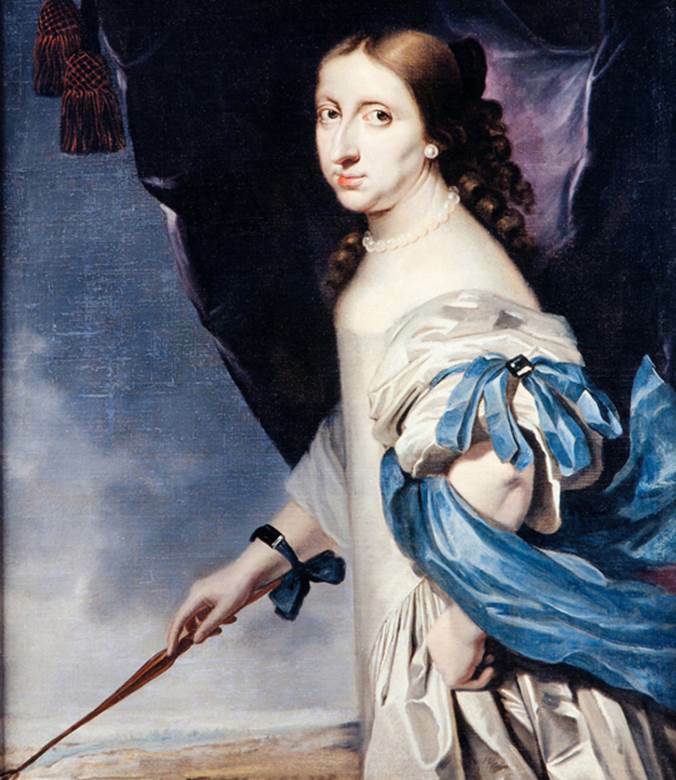 A 1661 oil painting of Queen Christina of Sweden (1626–1689) by Dutch-born artist Abraham Wuchters (1610–1682). A highly complex and storied woman, Christina became queen in 1633, befriended philosopher René Descartes, refused to marry, abdicated the throne in 1654, converted to the Catholic faith, and spent most of her remaining years in Rome.